Forza Horizon 3 is classified as a racing game, only really it's not. It's an open-world adventure game of the (mostly) four-wheeled variety, with a focus on celebrating everything exciting about cars and driving — even racing. 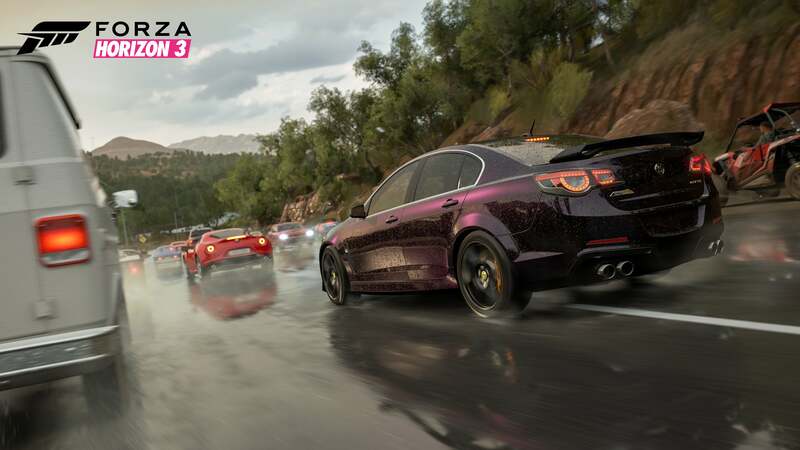 Playground Games' open-world spin-off the racing-focused Forza Motorsport series places players in charge of their own Horizon Festival, a region-spanning car party. It's the moment when you're first handed the keys to a new vehicle, before worries over petrol prices, repairs, traffic tickets, the laws of physics and other nuisances come into play, only stretched out over dozens of hours. The world is yours in a Forza Horizon game, at least the drivable parts, and Forza Horizon 3 has plenty of drivable parts. With some 350 cars to unlock or discover and a vast stretch of varied Australian terrain to cover, the only obstacles to having an excellent time are figuring out which of the game's many activities you'd like to do, and remembering to drive on left side of the road rather than the usual video game/American right (something I am still getting used to several days in). Here's quick look at the game in video form. I apologise for getting trapped atop a rock, though not really. While the review embargo is up today for Forza Horizon 3, there are still many things I cannot do or show you. I'm not technically allowed to take my own screenshots of the game, so all I can give you here are marketing shots. I have played through a couple of Online Adventures with a group of journalists and dev team members, alternating between street races and more creative events like Infected and King, two variants of tag with cars. I had a blast, but reserve judgement of the game's online until more people are playing — the game's headstart launch is this Friday, September 23. Perhaps most importantly for newcomers to the series, I haven't been able to play the PC version of the game yet. 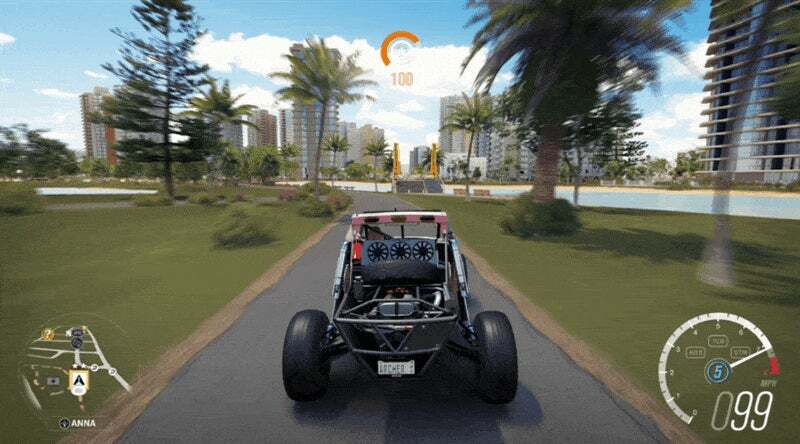 Forza Horizon 3 is part of the Xbox Play Anywhere initiative, meaning players will be able to play on their PC, switch to Xbox One and pick up where they left off. Or they could just play forever on their PC (though online still requires an active Xbox Live Gold subscription). 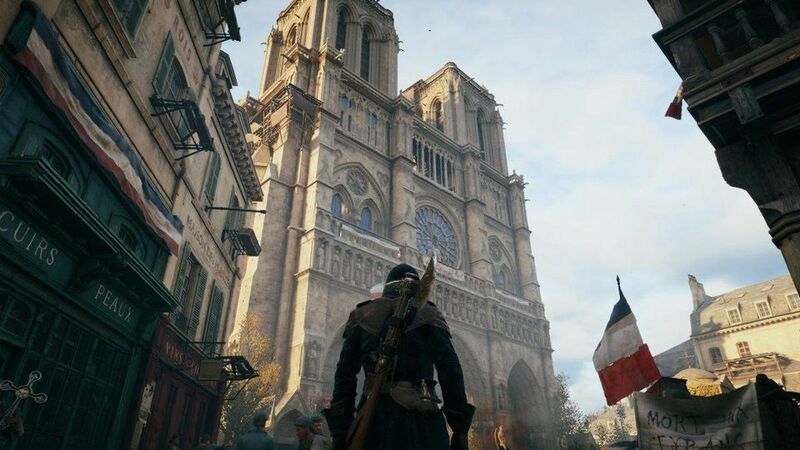 It sounds amazing, but I can't tell if it actually is or not until I play the PC version. I can't even show you my favourite Forza Horizon pastime, discovering priceless classic junker cars in old abandoned barns. That restriction is understandable, as there is plenty of joy in the hunt for automotive treasures in the Australian relatively-wilds. Best not to spoil the surprise. What I can say is the essence of the Forza Horizon experience remains intact in Forza Horizon 3. Vehicle handling is top-notch, with tuning and upgrades making significant impact on how your ride handles. The vehicles are gorgeous, and soon the marketplace will be flooded with player-created designs shared freely or auctioned exclusively within the in-game store. Navigation AI Anna returns in upgraded form, guiding players to the next nearest event of their choice, be it a race, a media stunt to earn more fans and expand the festival, a barn-hidden classic or a bucket list challenge. Though she can be accessed via game pad, Anna is still one of the best reasons to keep that Kinect sensor hooked up. She's Cortana without all the Cort. And what would driving be without some sweet tunes? Horizon's radio stations have expanded this year, offering songs from several different genres, several of which I actually recognised. Nothing like driving a Lexus across a tree-covered hillside with DMX's "X Gon' Give It To Ya". Ooo, I can share the song at least. On top of the stations, this year subscribers to Microsoft's Groove music service can have their favourite music from that library integrated into its own radio station, complete with DJs and in-game notifications. Those four people are going to love it. I could go on about events and races and amazing weather effects, but I'll reserve those until I can actually show them to you from my own perspective, once the early access launches this Friday. For now, I can tell you that the third game in the series (on Xbox One at least) hits all the important notes. It's all about the thrill of the drive, and it's a larger, longer drive than ever before. As one of the four groove music pass subscribers, who is also a big horizon fan, I am excited by the integration. However I would like to point out that everyone can use this feature for free. You upload your music to OneDrive (more than enough space available on a free account) and you can then stream that music through Groove Music for free. Having just recently played the original Forza Horizon I have to say barn finds were one of my favourite aspects too. I enjoy Forza's relexed "cars are pretty cool" attitude as opposed to regular Forza's tone. Looking forward to this. though online still requires an active Xbox Live Gold subscription. This was something I was afraid of with the launch of Games for Windows. I guess Gears 4 will be the same....... goddammit I didn't want another subscription service for 1 or 2 games. "Update: Microsoft reached out to let us know that no Gold sub was required for PC multiplayer." Online on PC doesn't need a Live subscription. This seems to be still up in the air. I've read a couple of articles where this is not the case, namely Shacknews. Unfortunately it's not 100% obvious on the Microsoft site, and all the reviews are for the XBox version so it's hard to say. I'm the same as you, I dont own an XBox, so having an XBox live sub just for 1 game is pointless. I thought MS were adament that you wouldn't need XBL Gold for PC gaming. It was one of their selling points ... I'd be understandably a bit pissed if they have introduced it now. Sure, you don't get all those lovely freebies that go along with it, but if you don't own a console, you'd be better off sinking that $60 into a Steam Sale or two! You actually don't need to be a Groove subscriber to use that music integration. You just need to have some music (non-drm audio files) in your One Drive (everyone gets free storage). You don't need to pay for Groove to do that. I really wanted to play this game. I know it's $69 at several stores on Xbox, but I'm not sure if that gets you the Windows copy of it as well. Only digital copies get the Win10 version. Just wait. Microsoft drop the price on digital titles pretty quickly ... and even more so because this is an exclusive. You should see it at 30-50% off in 3-4 months, or maybe a bit higher in the pre-Xmas sales. Yeah this is shitting me too. $79 for an Xbone disc copy from JB or else pay the extra $20 to buy digital so you can play it on both Xbone and PC. I wish there were places that just sold the product keys cheaper. Just waiting for that PC demo. This is probably a silly question, but if you buy it on disc for your xbone...does that let you play it on your PC as well? Like you can use the disc in your PC? Or do you get a download key or something? Or do you have to buy it again on PC? Only digital versions have the play anywhere feature. Physical copies don't. I have had a look at this this morning - the small print states the disc is for the xbox one. I'm not sure if there's a code you use to add to your account - i.e., that if you bought it and only played on PC, that you input the code in the Store, OR, that you have to first load it up on XBOX. I've never had a console so I'm not sure how it works. "Xbox Play Anywhere: Pre-order the digital game, and it’s yours to play on both Xbox One and Windows 10 PC. This does not apply for physical disc copies." 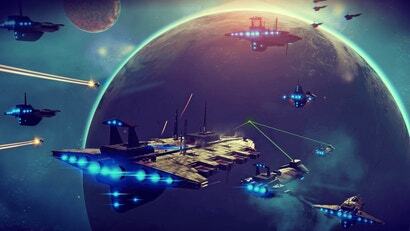 "Features may vary between Xbox One and Windows 10 versions of game.Xbox One game disc for use only with Xbox One systems. Xbox Live Gold membership (sold separately) required for online multiplayer on Xbox One. Cross-device play only in Xbox Live-supported countries, see xbox.com/live/countries. Some music features may not be available in some countries. 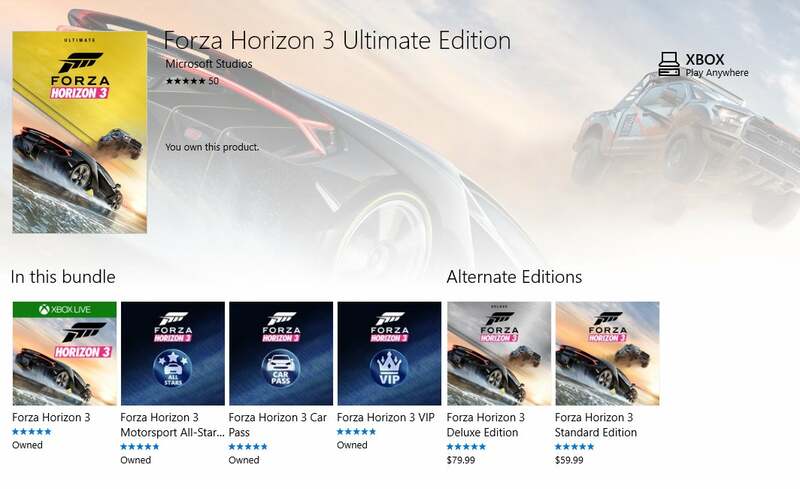 See forzamotorsport.net"
If you wanted to own the game on both PC and Xbox One with only 1 purchase, you would need to buy the XB1 version of the game, from Xbox Live, as only digital copies are eligible for Play Anywhere. EDIT: This was meant to be a reply to the above comment but I accidentally posted it as it's own. Whoops! ...this year subscribers to Microsoft’s Groove music service can have their favourite music from that library integrated into its own radio station ... Those four people are going to love it. This was a burn so satisfying that it made my eyes hurt to read it. Except you don't actually need a Groove account at all. If you have One Drive (which you probably have by default if you're an Xbox Live member) then you can use this feature for free with no subscription - you just need a music folder with MP3s in your One Drive and the game will pick them up. That's the most polite way of saying they completely cocked up the map of Australia that I've seen yet! Might as well put Surfers Paradise in there without the bikers and "working girls"
It'd be pretty boring if it was an accurate version of Australia. 15 hour drive between the twelve apostles and Byron Bay with basically nothing but emptiness in between would be pretty boring. Instead they've created a fantasy version of Australia that's got pretty sights around every corner. I don't see the issue. Do you want a worse game for the sake of accuracy?